Built in GRP to Lloyd's class by Italian yard Cantieri di Pisa, Element was delivered in 2002 as an Akhir 140 model and has warm and inviting yet contemporary interior styling, incorporating a range of neutral tones and textures which serve to create a calm and relaxing environment. She was refitted early in 2017 including a full exterior repaint, while twin 3,700hp MTU diesel engines allow a cruising speed of 20 knots and a range of 2,000 nautical miles at 12 knots. 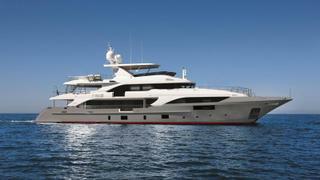 Element is asking €5,800,000 with Edmiston & Company and Merle Wood & Associates. Built in GRP to Lloyd's class by Italian yard Cantieri di Pisa, Element was delivered in 2002 as an Akhir 140 model and has warm and inviting yet contemporary interior styling, incorporating a range of neutral tones and textures which serve to create a calm and relaxing environment. She was refitted early in 2017 including a full exterior repaint, while twin 3,700hp MTU diesel engines allow a cruising speed of 20 knots and a range of 2,000 nautical miles at 12 knots. 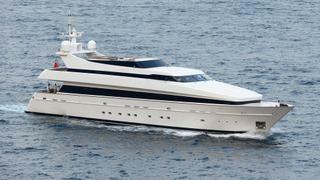 Element is asking €5,800,000 with Edmiston & Company and Merle Wood & Associates. Designed by De Voogt, the 45.2 metre motor yacht Tugatsu was built in steel and aluminium by Dutch yard Feadship to Lloyds class and delivered in 1989 with nearly annual upgrades since 2009, most recently in 2018. A luxurious interior by Jon Bannenberg accommodates 12 guests in six cabins laid out as a full beam master suite, two VIP suites, two twins and a single with a Pullman berth. Tugatsu is asking $9,500,000 with Y.CO. Designed by De Voogt, the 45.2 metre motor yacht Tugatsu was built in steel and aluminium by Dutch yard Feadship to Lloyds class and delivered in 1989 with nearly annual upgrades since 2009, most recently in 2018. A luxurious interior by Jon Bannenberg accommodates 12 guests in six cabins laid out as a full beam master suite, two VIP suites, two twins and a single with a Pullman berth. Tugatsu is asking $9,500,000 with Y.CO. Designed by William Starling Burgess and built by Herreshoff in the USA, the original J-class sailing yacht Rainbow won the America’s Cup in 1934. Built by Dutch yard Holland Jachtbouw in aluminium with delivery in 2012, this 39.95 metre Rainbow replica is based on the original design, with a modern update from Dykstra Naval Architects. Guest accommodation is in three cabins consisting of a master suite, double and twin with two Pullman berths. 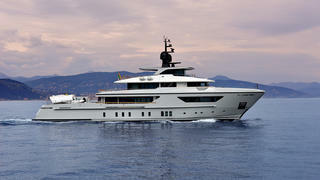 Rainbow is asking €10,500,000 with Yachting Partners International. Designed by William Starling Burgess and built by Herreshoff in the USA, the original J-class sailing yacht Rainbow won the America’s Cup in 1934. Built by Dutch yard Holland Jachtbouw in aluminium with delivery in 2012, this 39.95 metre Rainbow replica is based on the original design, with a modern update from Dykstra Naval Architects. Guest accommodation is in three cabins consisting of a master suite, double and twin with two Pullman berths. 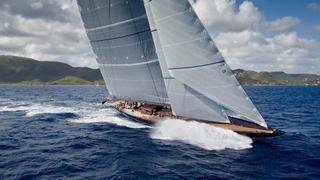 Rainbow is asking €10,500,000 with Yachting Partners International. Built by the renowned Benetti shipyard and delivered in 2007, the 44.2 metre motor yacht Blue Vision is a fine example of the highly successful Benetti ‘Vision’ range. Among her five spacious cabins is a full width master suite on the main deck featuring a private office, his and hers en suites, and panoramic views from the 180-degree windows Blue Vision is asking €11,750,000 with Camper & Nicholsons International. 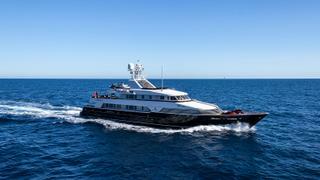 Blue Vision is asking €11,750,000 with Camper & Nicholsons International. Featuring exterior styling by Francesco Paszkowski, the 37.95 metre metre Y4H was built from a GRP hull and superstructure by Italian yard Sanlorenzo and delivered in 2017 as one of the yard’s SD126 series. Accommodation is for ten guests in five cabins, including a master suite, two doubles and two twins, all with entertainment centres and en suite bathroom facilities. 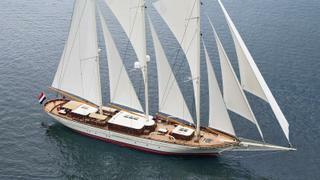 Y4H is asking €12,800,000 with Ocean Independence. Featuring exterior styling by Francesco Paszkowski, the 37.95 metre metre Y4H was built from a GRP hull and superstructure by Italian yard Sanlorenzo and delivered in 2017 as one of the yard’s SD126 series. Accommodation is for ten guests in five cabins, including a master suite, two doubles and two twins, all with entertainment centres and en suite bathroom facilities. 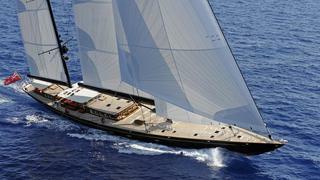 Y4H is asking €12,800,000 with Ocean Independence. Built in GRP by Italian yard Benetti to a design by Stefano Righini, the 40.2 metre motor yacht Hemabejo was built to RINA class and launched in April 2014 as the third hull in the yard’s Benetti Classic Supreme series. An interior by Francois Zuretti using high quality marbles, exotic woods and fine leathers accommodates up to 12 guests in six cabins. 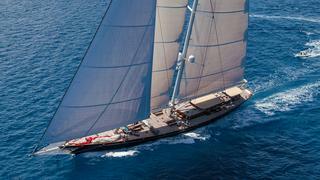 Hemabejo is asking €13,850,000 with IYC. Built in GRP by Italian yard Benetti to a design by Stefano Righini, the 40.2 metre motor yacht Hemabejo was built to RINA class and launched in April 2014 as the third hull in the yard’s Benetti Classic Supreme series. An interior by Francois Zuretti using high quality marbles, exotic woods and fine leathers accommodates up to 12 guests in six cabins. 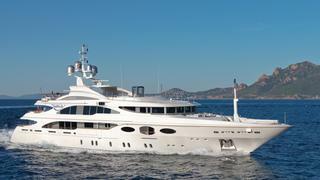 Hemabejo is asking €13,850,000 with IYC. Designed by Omega Architects, the 47 metre motor yacht Celestial Hope was built in aluminium to Lloyd's class by Dutch yard Heesen Yachts and delivered in 2008. An elegant, sophisticated interior inspired by the beach houses of the Hamptons accommodates up to 12 guests in six cabins. These consist of a bridge deck master suite, main deck VIP suite, three doubles and a twin, all with state of the art entertainment centres and en-suite bathroom facilities. Celestial Hope is asking €17,500,000 with Edmiston & Company. Designed by Omega Architects, the 47 metre motor yacht Celestial Hope was built in aluminium to Lloyd's class by Dutch yard Heesen Yachts and delivered in 2008. An elegant, sophisticated interior inspired by the beach houses of the Hamptons accommodates up to 12 guests in six cabins. These consist of a bridge deck master suite, main deck VIP suite, three doubles and a twin, all with state of the art entertainment centres and en-suite bathroom facilities. Celestial Hope is asking €17,500,000 with Edmiston & Company. Sokar was built by the Italian superyacht yard Codecasa in steel and aluminium to a design by Vincenzo Ruggiero and delivered in 1990 as one of the most outstanding superyachts of her era with striking lines and sound construction incorporating elements of strength, power and beauty. Extensive accommodation is provided for 18 guests in a master suite and eight double staterooms, all with en suite bathroom facilities. Sokar is asking €17,900,000 with Edmiston & Company. Sokar was built by the Italian superyacht yard Codecasa in steel and aluminium to a design by Vincenzo Ruggiero and delivered in 1990 as one of the most outstanding superyachts of her era with striking lines and sound construction incorporating elements of strength, power and beauty. Extensive accommodation is provided for 18 guests in a master suite and eight double staterooms, all with en suite bathroom facilities. Sokar is asking €17,900,000 with Edmiston & Company. Built in steel and aluminium by Italian yard Sanlorenzo to a design by Francesco Paszkowski, the 42.2 metre motor yacht X was delivered in 2016 as one of the yard’s 460EXP series. Accommodation is for up to 12 guests in five cabins consisting of a main deck master suite, two VIP suites and two twins, all with entertainment centres and en-suite bathroom facilities. A further twin is currently serving as a gym but could easily be converted back into a sixth cabin. Three additional cabins sleep seven crew. X is asking €18,000,000 with Camper & Nicholsons International. Built in steel and aluminium by Italian yard Sanlorenzo to a design by Francesco Paszkowski, the 42.2 metre motor yacht X was delivered in 2016 as one of the yard’s 460EXP series. Accommodation is for up to 12 guests in five cabins consisting of a main deck master suite, two VIP suites and two twins, all with entertainment centres and en-suite bathroom facilities. A further twin is currently serving as a gym but could easily be converted back into a sixth cabin. Three additional cabins sleep seven crew. X is asking €18,000,000 with Camper & Nicholsons International. Designed by Stefano Natucci, the 52 metre motor yacht Latitude was built in steel and aluminium by Italian yard Benetti to Lloyd's class and MCA coded with delivery in 2008 and a major refit in 2013. An opulent Art Deco interior by Mauro Izzo features selected mahogany and cherry woods along with fine leather detailing accommodating 12 guests in six cabins. These comprise a main deck master suite, VIP suite, three doubles and a twin, all with entertainment centres, flatscreen televisions and en-suite bathroom facilities. Latitude is asking €21,750,000 with Fraser. Designed by Stefano Natucci, the 52 metre motor yacht Latitude was built in steel and aluminium by Italian yard Benetti to Lloyd's class and MCA coded with delivery in 2008 and a major refit in 2013. An opulent Art Deco interior by Mauro Izzo features selected mahogany and cherry woods along with fine leather detailing accommodating 12 guests in six cabins. These comprise a main deck master suite, VIP suite, three doubles and a twin, all with entertainment centres, flatscreen televisions and en-suite bathroom facilities. Latitude is asking €21,750,000 with Fraser. Built in Alustar by Vitters to a design by Hoek Design, the 54.6 metre sailing yacht Marie was launched in 2010. She accommodates up to 10 guests in four cabins comprising a large master suite with a king size bed and his and hers en-suite bathrooms, a VIP suite also with a king size bed, plus a port and starboard twin and all cabins have en-suite facilities. Marie is asking $28,500,000 with Fraser. Built in Alustar by Vitters to a design by Hoek Design, the 54.6 metre sailing yacht Marie was launched in 2010. She accommodates up to 10 guests in four cabins comprising a large master suite with a king size bed and his and hers en-suite bathrooms, a VIP suite also with a king size bed, plus a port and starboard twin and all cabins have en-suite facilities. Marie is asking $28,500,000 with Fraser. Built in aluminium to an in-house design by Italian yard Baglietto, the 59.4 metre motor yacht Vicky is Lloyd's classed and MCA compliant, with delivery in 2009 as the largest superyacht from the yard to date. An interior in light woods with onyx touches by Savaya and Moroni accommodates 10 guests in five cabins. Vicky is asking €27,000,000 with Ocean Independence. Built in aluminium to an in-house design by Italian yard Baglietto, the 59.4 metre motor yacht Vicky is Lloyd's classed and MCA compliant, with delivery in 2009 as the largest superyacht from the yard to date. An interior in light woods with onyx touches by Savaya and Moroni accommodates 10 guests in five cabins. Vicky is asking €27,000,000 with Ocean Independence. An ice-class Vitruvius expedition yacht from the drawing boards of Philippe Briand and delivered by Perini Navi in 2011, the 55.7 metre motor yacht Galileo G is a proven off the beaten track explorer with a 9,000 nautical mile range. She has a comprehensive diving set-up and large inventory of tenders, including a fully custom 9.5 metre Zodiac Hurricane expedition RIB. Galileo G is asking €28,500,000 with Burgess. An ice-class Vitruvius expedition yacht from the drawing boards of Philippe Briand and delivered by Perini Navi in 2011, the 55.7 metre motor yacht Galileo G is a proven off the beaten track explorer with a 9,000 nautical mile range. She has a comprehensive diving set-up and large inventory of tenders, including a fully custom 9.5 metre Zodiac Hurricane expedition RIB. Galileo G is asking €28,500,000 with Burgess. Built in aluminium by Dutch yard Holland Jachtbouw to a design by Hoek Naval Architects, the 62 metre sailing yacht Athos was delivered in 2006 and is Bureau Veritas classed and MCA compliant. In 2016 she was refitted at Orams Marine in New Zealand, receiving a hull transformation from blue to stark white, interior upgrades and new sails. Accommodation in a mahogany panelled interior is for up to ten guests in five cabins. 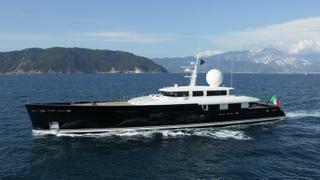 Athos is asking €35,000,000 with McMaster Yachts. Built in aluminium by Dutch yard Holland Jachtbouw to a design by Hoek Naval Architects, the 62 metre sailing yacht Athos was delivered in 2006 and is Bureau Veritas classed and MCA compliant. In 2016 she was refitted at Orams Marine in New Zealand, receiving a hull transformation from blue to stark white, interior upgrades and new sails. Accommodation in a mahogany panelled interior is for up to ten guests in five cabins. 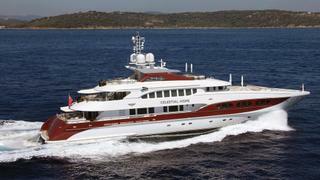 Athos is asking €35,000,000 with McMaster Yachts. Built in laminated mahogany on steel frames by Turkish yard Dream Ship Victory to a design by Dykstra Naval Architects, the mighty 64.52 metre sailing yacht Mikhail S. Vorontsov is RINA classed and was delivered in 2013 as a three-masted schooner, going on to collect a coveted Neptune trophy at the 2014 World Superyacht Awards. Ken Freivokh designed an ultra-luxurious interior accommodating up to 12 guests in five cabins. Mikhail S. Vorontsov is asking €32,000,000 with Ocean Independence. Built in laminated mahogany on steel frames by Turkish yard Dream Ship Victory to a design by Dykstra Naval Architects, the mighty 64.52 metre sailing yacht Mikhail S. Vorontsov is RINA classed and was delivered in 2013 as a three-masted schooner, going on to collect a coveted Neptune trophy at the 2014 World Superyacht Awards. Ken Freivokh designed an ultra-luxurious interior accommodating up to 12 guests in five cabins. 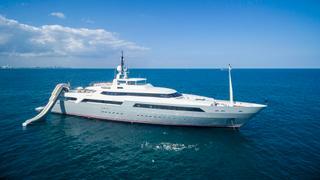 Mikhail S. Vorontsov is asking €32,000,000 with Ocean Independence. Designed by Terence Disdale, the 76.6 metre motor yacht Boadicea was built in steel and aluminium by Dutch yard Amels to Lloyds class. She was delivered in 1999 and most recently refitted in 2016. 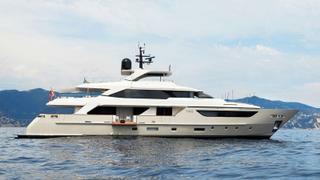 Sixteen guests are accommodated in eight cabins with an interior in Italian leather and raw silk bulkheads. Boadicea is asking €53,000,000 with Fraser. Designed by Terence Disdale, the 76.6 metre motor yacht Boadicea was built in steel and aluminium by Dutch yard Amels to Lloyds class. She was delivered in 1999 and most recently refitted in 2016. 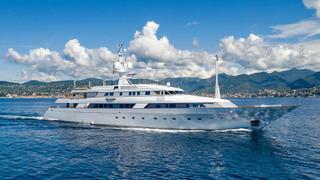 Sixteen guests are accommodated in eight cabins with an interior in Italian leather and raw silk bulkheads. Boadicea is asking €53,000,000 with Fraser. 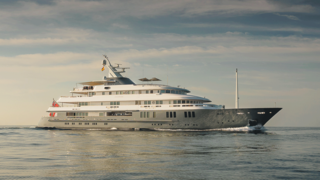 With exterior styling and interior design by Michael Leach, the 67 metre motor yacht Anna 1 was built in steel and aluminium by Dutch yard Feadship to Lloyd's class and MCA coded with delivery in 2007. The interior, featuring polished burr elm and flame mahogany woods, accommodates up to 17 guests in six cabins. These comprise a master suite with a private sea terrace, a VIP suite, two doubles and two twins plus Pullman berths. 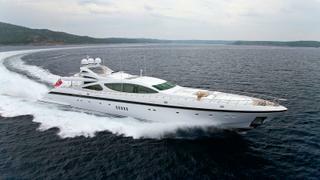 Anna 1 is asking €65,000,000 with Burgess and Yachtzoo. 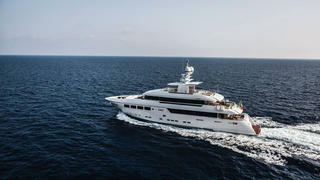 With exterior styling and interior design by Michael Leach, the 67 metre motor yacht Anna 1 was built in steel and aluminium by Dutch yard Feadship to Lloyd's class and MCA coded with delivery in 2007. The interior, featuring polished burr elm and flame mahogany woods, accommodates up to 17 guests in six cabins. These comprise a master suite with a private sea terrace, a VIP suite, two doubles and two twins plus Pullman berths. 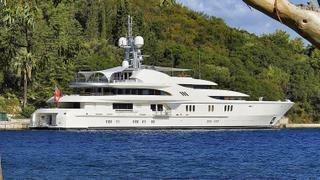 Anna 1 is asking €65,000,000 with Burgess and Yachtzoo. With exterior styling and interior design by Reymond Langton, the 61 metre motor yacht Excellence V was built in steel and aluminium by German yard Abeking and Rasmussen to Lloyd's class and delivered in 2012. She has since been carefully maintained with regular upgrades and presents immaculately. In 2017 this included a superstructure repaint, full main engine service and a rebuild of the generators. Sumptuous accommodation is for up to 14 guests in seven cabins. 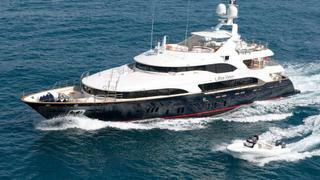 Excellence V is asking €75,000,000 with Burgess and Merle Wood & Associates. With exterior styling and interior design by Reymond Langton, the 61 metre motor yacht Excellence V was built in steel and aluminium by German yard Abeking and Rasmussen to Lloyd's class and delivered in 2012. She has since been carefully maintained with regular upgrades and presents immaculately. In 2017 this included a superstructure repaint, full main engine service and a rebuild of the generators. Sumptuous accommodation is for up to 14 guests in seven cabins. 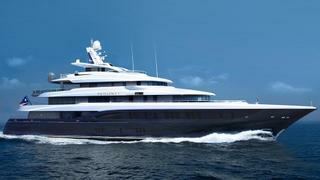 Excellence V is asking €75,000,000 with Burgess and Merle Wood & Associates. Designed by Stefano Righini, the 50 metre motor yacht Rush was built in GRP by Italian yard Overmarine to ABS class and delivered in 2010 as hull number five of the yard’s Mangusta 165 series. Giorgio Vafiadis designed a masculine interior in high gloss wenge wood accommodating up to ten guests in five cabins consisting of a full-beam master suite, VIP suite, double and a twin. The price of Rush is available on application at Imperial Yachts. Designed by Stefano Righini, the 50 metre motor yacht Rush was built in GRP by Italian yard Overmarine to ABS class and delivered in 2010 as hull number five of the yard’s Mangusta 165 series. Giorgio Vafiadis designed a masculine interior in high gloss wenge wood accommodating up to ten guests in five cabins consisting of a full-beam master suite, VIP suite, double and a twin. The price of Rush is available on application at Imperial Yachts. Launched in 2013 by Mondomarine, the naval architecture of the 40.8 metre motor yacht Okko was completed in-house with interior and exterior design by Giorgio Vafiadis. She accommodates 10 guests in five luxurious suites. The master suite, which is full beam, sits forward on the main deck and has a distinctive en suite bathroom of marble and onyx. The four other suites lie below on the lower deck and consist of two VIP doubles and two twin rooms. The price of Okko is available on application at Imperial Yachts. Launched in 2013 by Mondomarine, the naval architecture of the 40.8 metre motor yacht Okko was completed in-house with interior and exterior design by Giorgio Vafiadis. She accommodates 10 guests in five luxurious suites. The master suite, which is full beam, sits forward on the main deck and has a distinctive en suite bathroom of marble and onyx. The four other suites lie below on the lower deck and consist of two VIP doubles and two twin rooms. The price of Okko is available on application at Imperial Yachts.